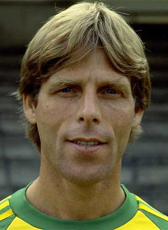 Chris Dekker played abroad from 1977 to 1981. First it was Sporting Charleroi in Belgium, followed by Seiko Hong Kong in China. He retired from professional football in 1985 and started his coaching career.